5th sentence, 74th page: He was Ian. 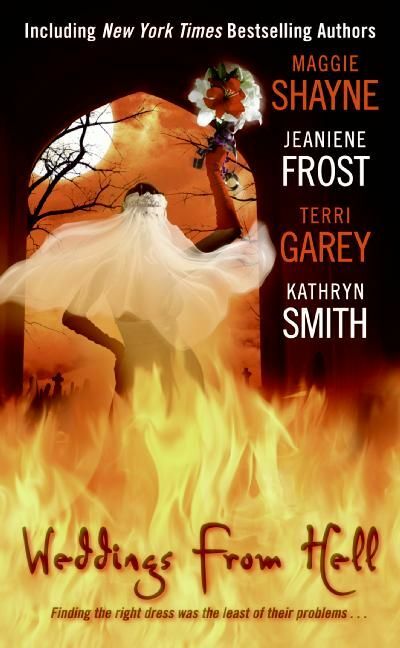 Years ago, a heartbroken McLellan witch placed a curse on the would-be brides of her family. But Kira McLellan doesn’t believe in curses. Then she falls in love with Ian Stewart and is determined to break the spell…. Or die trying. From the very beginning of the story, it is obvious that Kira is a little lost and unsure of her role in the world. And, since this is a paranormal romance collection of stories about weddings, you knew that she was going to find her man… and probably get married at some point throughout. It’s a little cliché that she doesn’t really feel complete until she finds her partner, but it was still just a cute and easy read. One that had me smiling at the end.